Your internationally renowned periodontist, who genuinely cares about your health. Dr. Kirk Pasquinelli received his doctorate in dental surgery from the University of California San Francisco School of Dentistry (UCSF). He completed a general practice hospital-based residency at Mount Zion Medical Center and remained on the hospital dental and training staff while also practicing restorative dentistry in San Francisco. He received his periodontal training at the University of Washington in Seattle. He is an Assistant Clinical Professor at the University of California San Francisco School of Dentistry, Division of Graduate Prosthodontics and has taught continuing dental education at both UCSF and the University of the Pacific School of Dentistry. He is on the faculty of the Interdisciplinary Dental Education Academy as well as the Foundation for Advanced Continuing Education. Dr. Pasquinelli continues to teach select groups nationally and internationally and has authored numerous articles in periodontal and restorative dentistry literature. He is a consultant for the International Journal of Periodontics and Restorative Dentistry as well as the Journal of Esthetic and Restorative Dentistry. 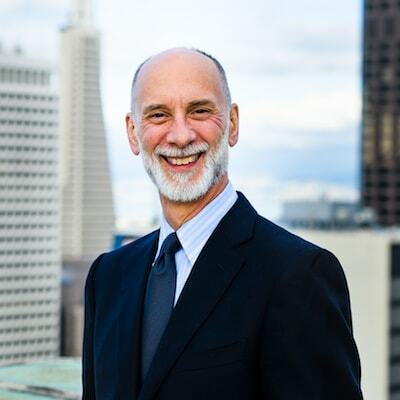 Since 1988, Dr. Pasquinelli has maintained a private practice in downtown San Francisco dedicated to periodontics, esthetic and pre-prosthetic oral surgery, as well as dental implants. Dr. Pasquinelli continues to develop his knowledge and skills to bring you outstanding periodontics in San Francisco. Dr. Pasquinelli took the time to explain everything in detail. I did round one of the gum grafting and now back for the second side. After my surgery, he personally called to check on me. That is what I call service! Esteemed as a world-class periodontal and implant specialist in San Francisco.